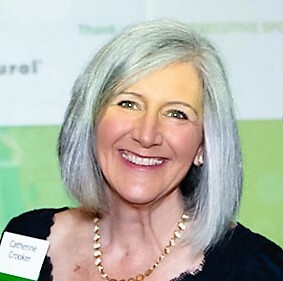 Crooker Consulting helps nonprofit leaders like you change the world by connecting your organization to donors who want to make a difference. We inspire you to reach further, dig deeper, and dream big. And we show you how to inspire your donors to join you on the journey. There is plenty of money out there. Attracting it to your organization is a matter of making the right connections, nurturing those connections in a meaningful and lasting way, and making a strong case for your cause. Donors want to help. They know their contributions make a difference to causes they care about and that align with their own values. It is a joyful experience for them. Long-term success in fundraising depends on building lasting relationships that benefit the work of the organization and the donor, resulting in sustained giving over many years. Successful efforts are not built by talking donors into making a one-time gift they are not really committed to. We approach every client with a fresh perspective and appreciation for each organization’s unique challenges and opportunities. This, coupled with years of experience and an ability to identify and address the real issues, leads to the kind of change that truly makes a lasting difference. This is sustainable change–not for a season or a year–but for the life of your organization and your cause. We begin with a thorough assessment of your current development and marketing programs. After the assessment is complete, we’ll prepare a strategic development and communications plan. We will help improve your fundraising success with training and coaching. We work closely with you to attract, engage and retain the best people for your team.